What is simple and what is hard about repentance? Why do you need God’s help in repenting? Do you find yourself repenting seldom if at all, or would you say it’s where you live–that it’s the ongoing posture of your heart? Lord, thank You for speaking to me by Your Word. I am pierced by the thought that anything in me would resist those moments when You grant me repentance and open my eyes to the truth. I want to experience life deep in Your presence. I want to be ever open to Your correction, longing for the awareness of my unworthiness that draws me to You. Create in me a clean heart, O Lord; whatever it takes. I ask You this in Jesus’ name, amen. 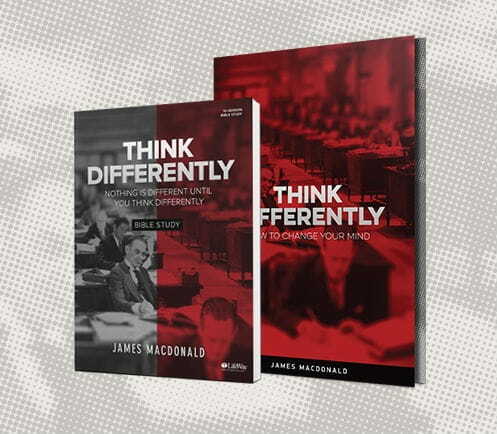 For more from Dr. James MacDonald please visit Walk in the Word on OnePlace.com. Friend, change is not dependent on trying harder. Real change comes when you choose to embrace a Godly mindset, because the way you think affects everything. I want to invite you to request the resources below so that you may experience the victory of lasting change in your life, beginning today. Request this offer with your gift of any amount to the ministry of Walk in the Word.